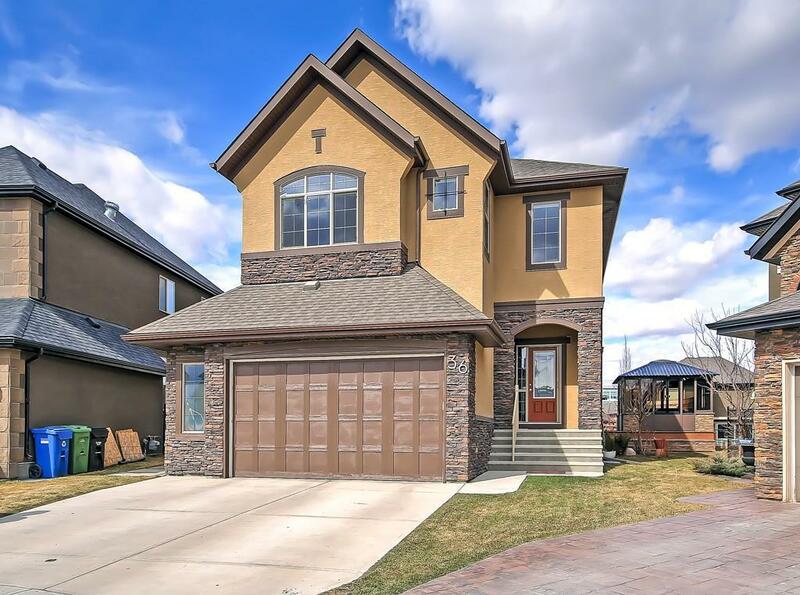 Custom built Cardel home in Quarry Park w/over 3500 sq ft of fully developed space, 9 ft ceilings throughout on a quiet cul-de-sac backing onto a green space. 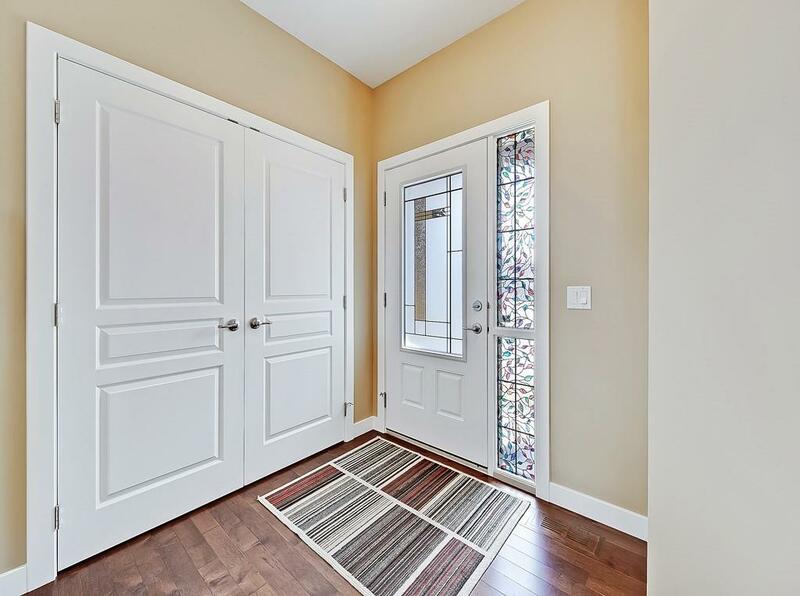 Gorgeous maple hardwood flooring flows throughout the main floor, w/ a flex rm offering a designated office space or dining rm. 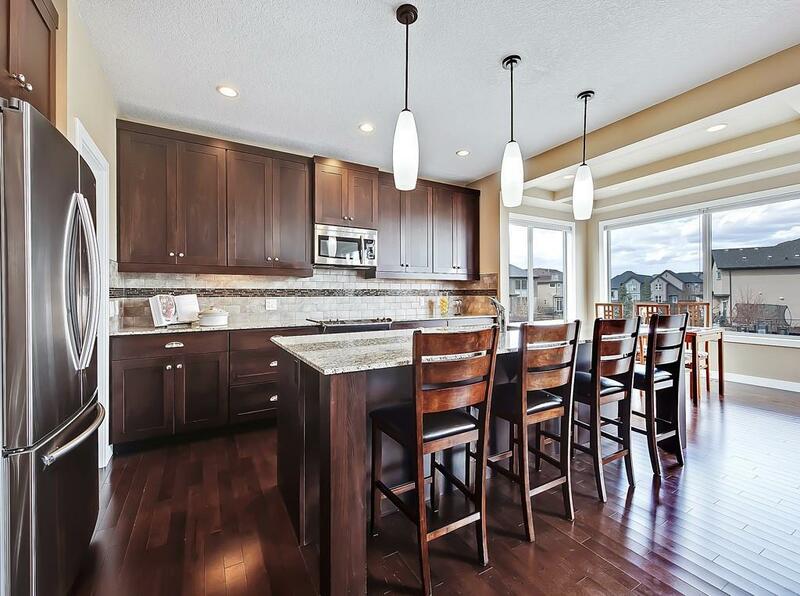 A spectacular chef's kitchen w/ custom designed Hunterwood cabinets, stainless steel appliances, 10ft centre island granite counters tops throughout & an ideal walk-through pantry leading to a lrg mudrm w/custom built cabinets. The kitchen flows into a relaxing breakfast nook & inviting living area w/ gas fireplace all w/ oversized windows looking onto a backyard oasis. Upstairs boosts 2 lrg bedrms w/ oversized closets, relaxing bonus rm w/ cozy reading den, 4-piece bathrm w/dual sinks, lrg laundry rm w/ linen closets & massive master retreat w/ a large ensuite & walk-in closet. 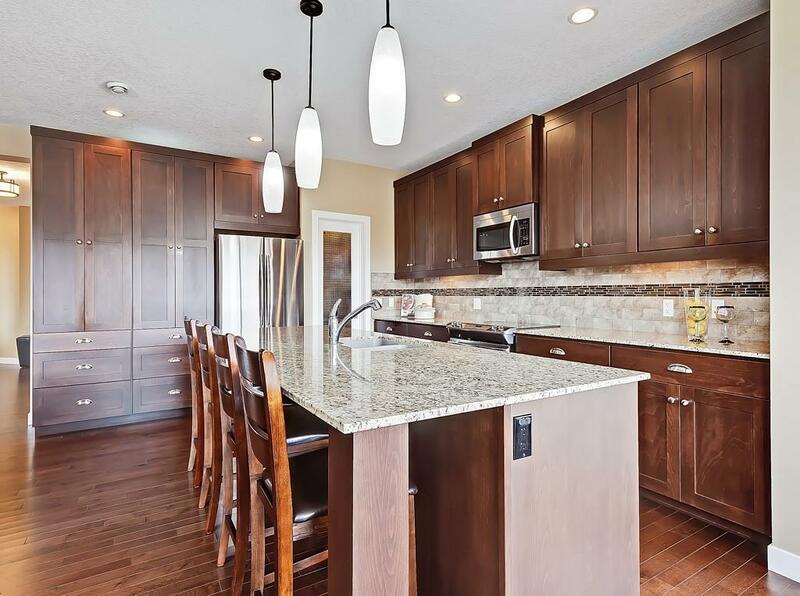 Basement is fully developed w/ 2 bedrms, 4-piece bathrm, lrg entertaining rm w/3 sided gas fireplace & plenty of storage. See addt'l remarks below.